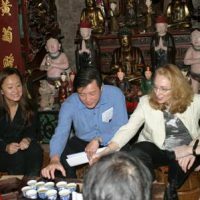 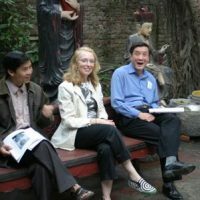 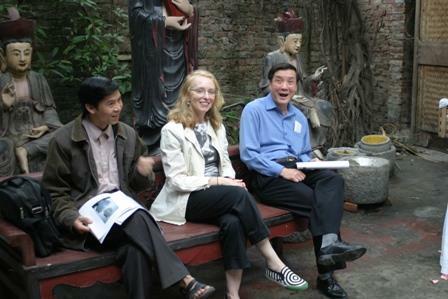 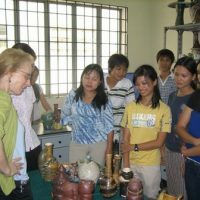 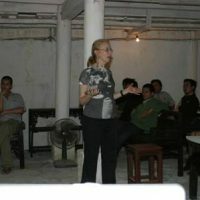 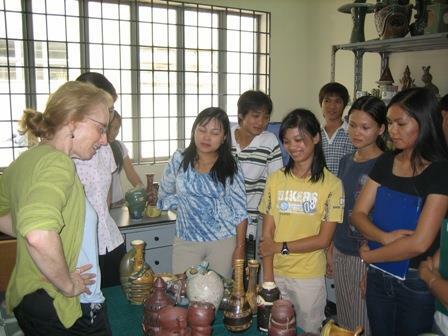 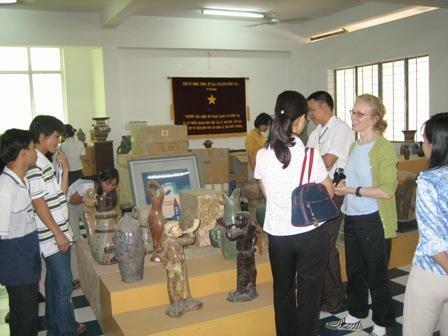 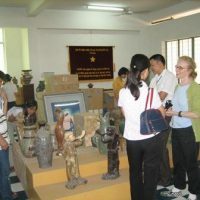 American artist Arlene Shechet went to Hanoi and Saigon, Vietnam as part of the American Artists Abroad program from March 20 to April 1, 2006. 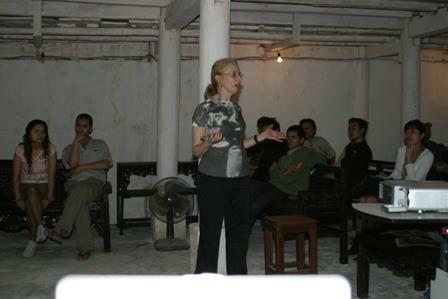 American artist Arlene Shechet went to Hanoi and Saigon, Vietnam as part of the American Artists Abroad program from March 20 to April 1, 2006. 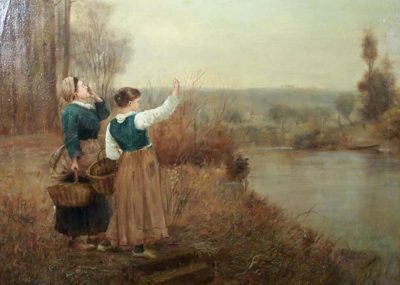 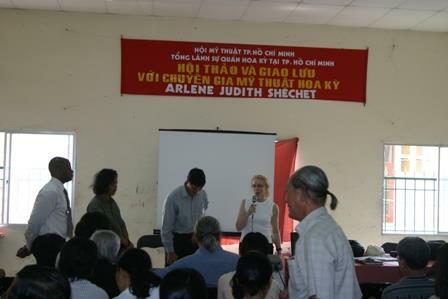 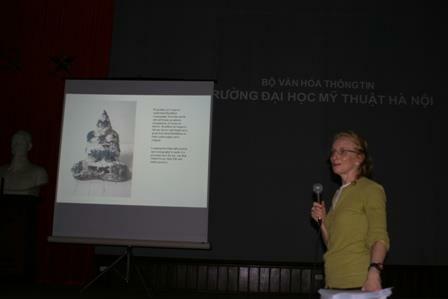 There she presented to groups of students as well as organized artist cooperatives. 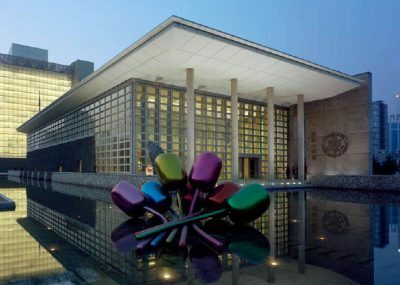 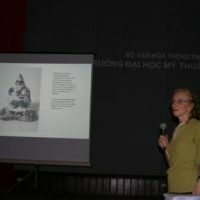 Her talks consisted of an overview of her portfolio and contemporary New York artist’s works. 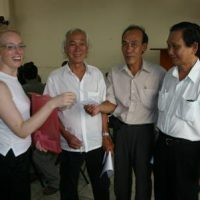 Shechet reached out to her audience by providing them with listings of study opportunities and scholarships in America for international students. 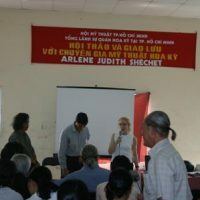 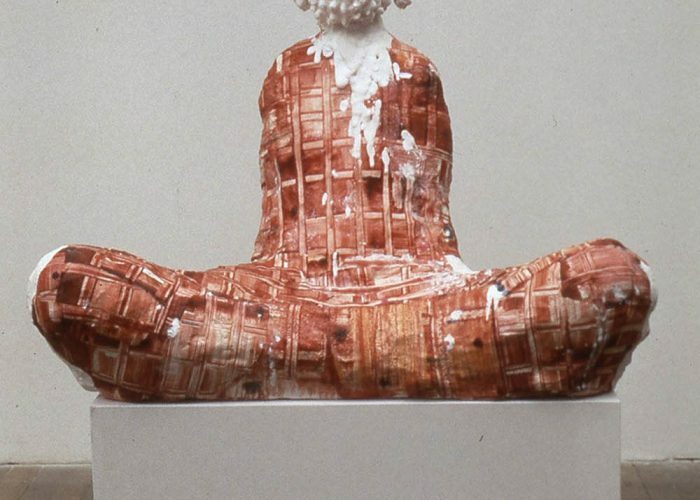 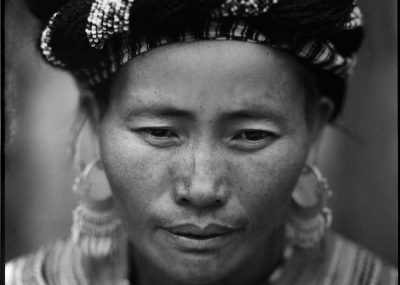 Shechet’s artwork translated easily due to its use of Buddhist iconography; her appreciation for Vietnam was evident in her work. 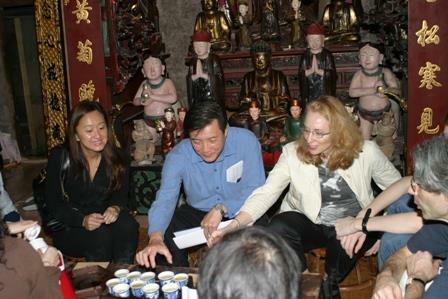 This cultural sensitivity was not lost on the several newspapers that interviewed her for their daily publications.